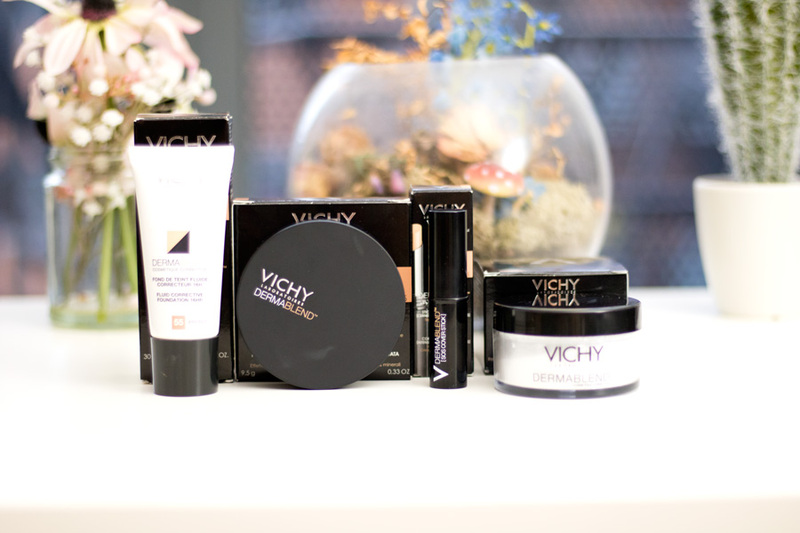 Vichy is one of my favourite French beauty brands because their products work well especially with problematic skin. 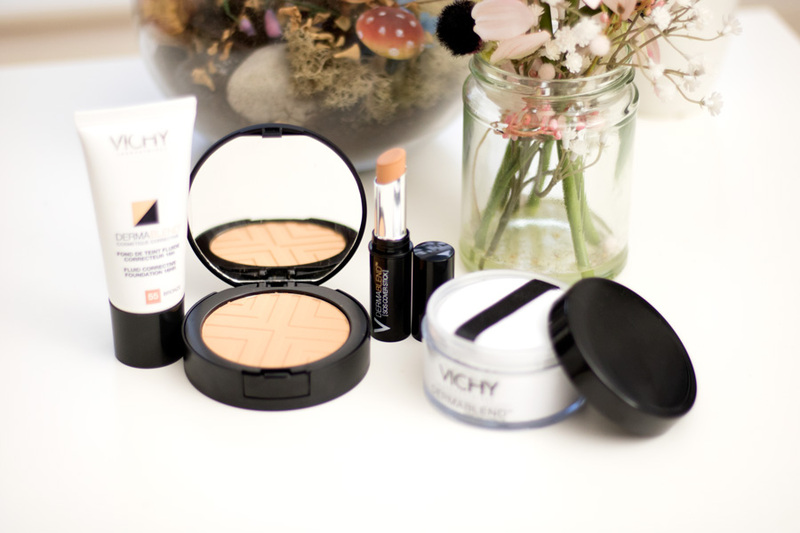 I have tonnes of reviews of Vichy on the blog and I am yet to be disappointed by any of their products. Their Dermablend range is a popular one mainly because it offers incredible coverage and does not aggravate the skin at all. If you have sensitive skin, rosacea, scarring or acne/blemish prone skin, Dermablend has something for the skin. 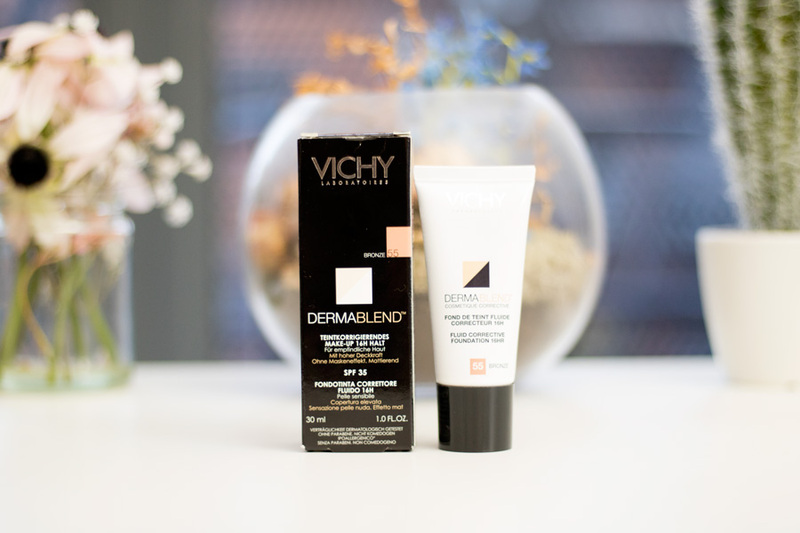 I tried the Dermablend range back in 2015 and I really loved the coverage because it worked so well with blemish prone skin (along with my acne hyper pigmentation). 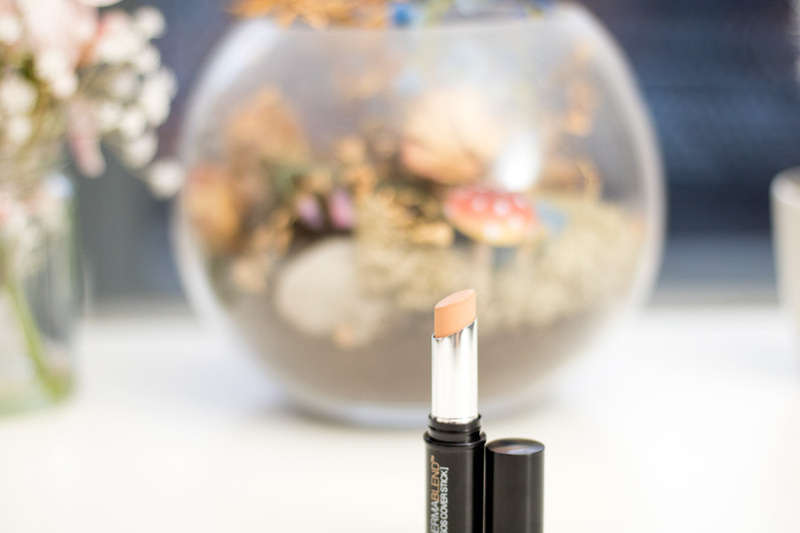 I don't need to use a concealer whenever I use a Dermablend Foundation because it offers amazing coverage. 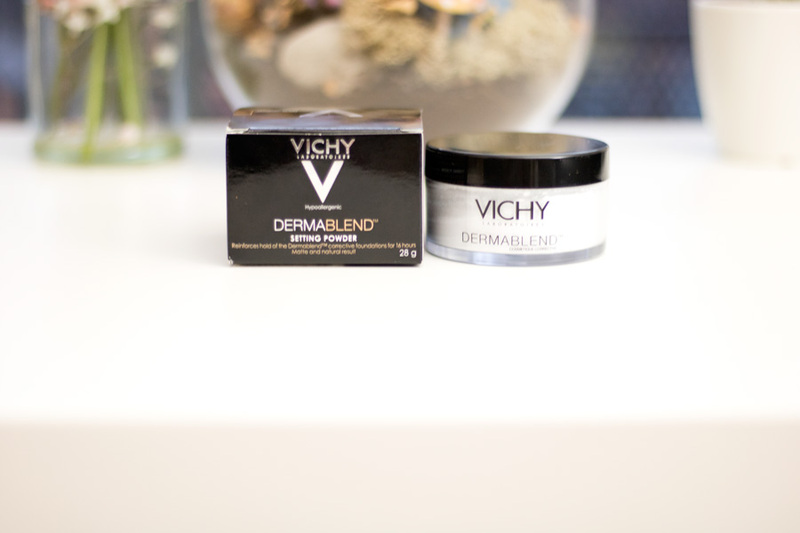 The coverage from the Dermablend products can even hide tattoos, vitiligo and skin discolorations. The best part is that the Dermablend range is non-comedogenic so there's no cause to worry about clogged pores and skin issues. 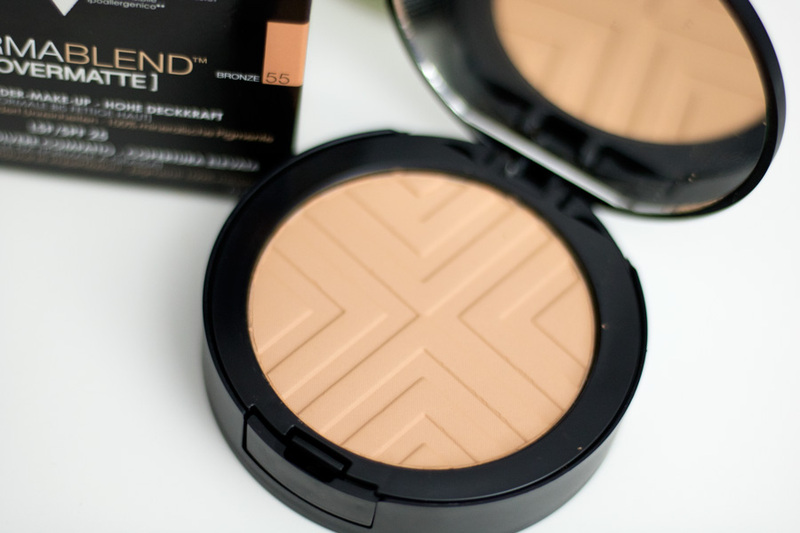 They recently launched a few more shades within their Dermablend foundation and revamped/relaunched products including the Dermablend SOS Concealer/Cover Stick* and the Dermablend Cover Matte Compact Powder Foundation*. 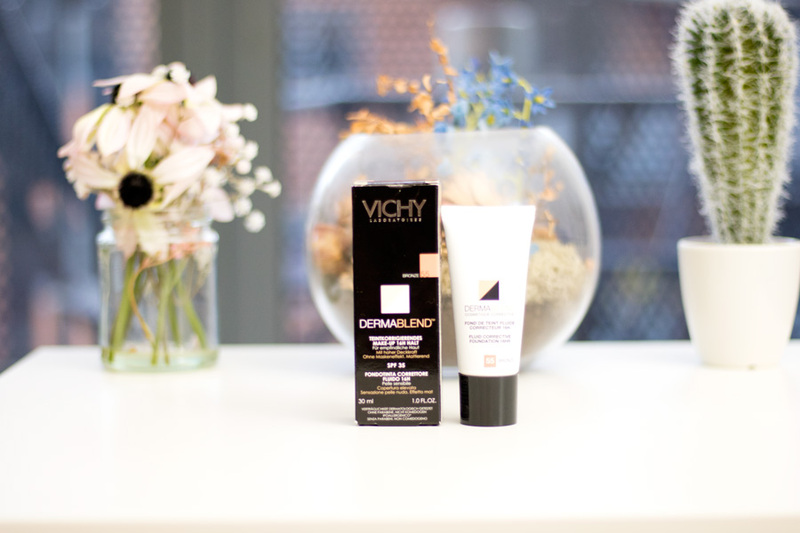 I was very kindly sent some products from the Dermablend range and I am so excited to share my thoughts with you. 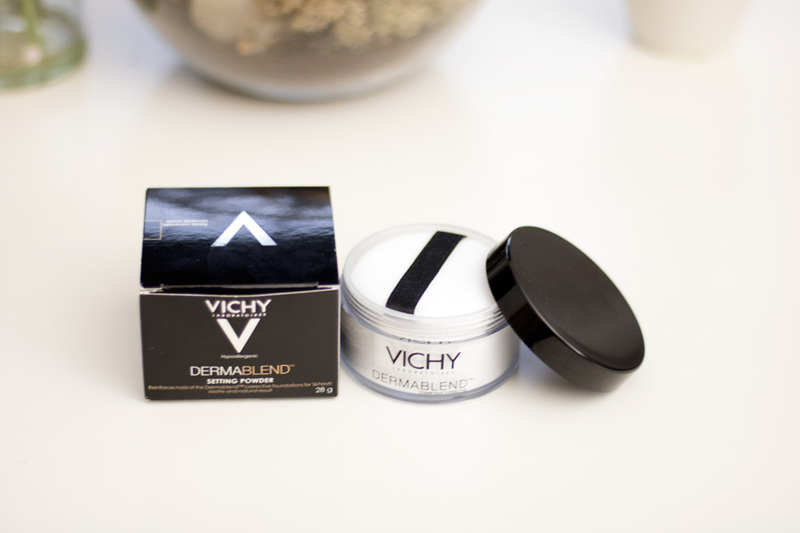 Vichy Dermablend packaging is simple and practical which is always the best combination in my opinion. 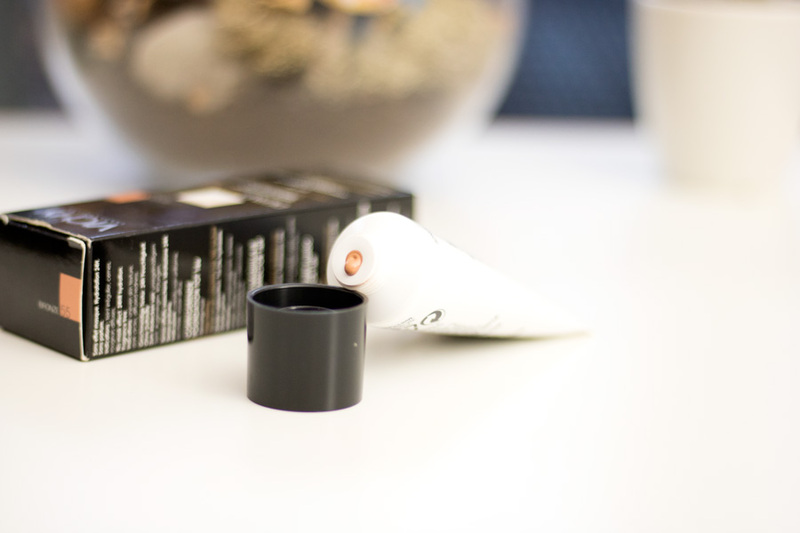 The foundation comes in either a black tube or a white tube. I had the black tube the last time and I do prefer it to the white tube because it gets less messy. 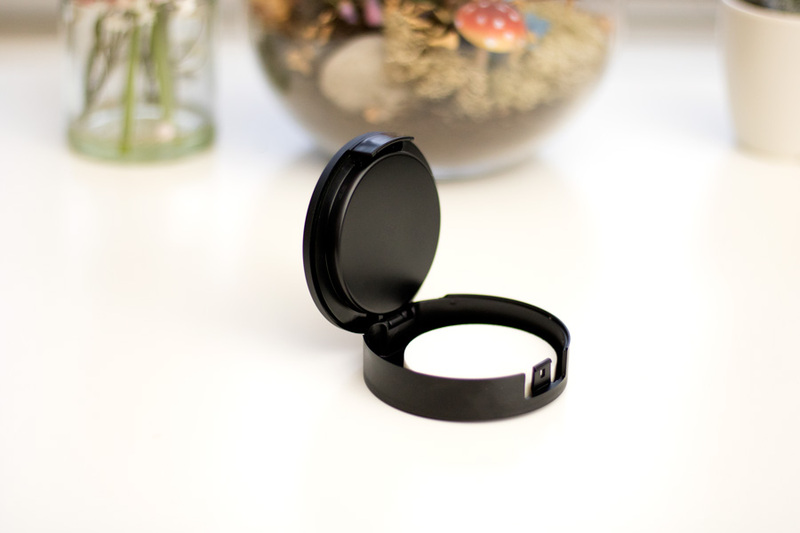 I love the packaging of the new Covermatte compact powder foundation as it looks so classy and perfect for my makeup bag. I also love the SOS concealer packaging as it is very portable and travel friendly. The Setting Powder is also travel friendly and I love the powder puff it comes with. I already reviewed the Dermablend Fluid Corrective Foundation here but I think my experience this time around has slightly improved. It is described as a high coverage foundation with a natural fresh feeling and I completely agree. The shade I chose is Bronze 55 however it is not a perfect match for my skin. Last time, I had shade 45(too light and beige) and shade 65 Coffee (slightly dark) and they were not the best match for my complexions. I can manipulate Bronze 55 to match my skin which is great. This can be done with either Darkening Drops (the Body Shop Drops are great) or any slightly darker foundation or powder. I am not a fan of mixing or manipulating foundations but the Dermablend is pretty special because the formula works really well for my skin. It offers a good high coverage finish to my skin but it does not feel heavy or cakey. I find that many full coverage foundations give the skin that awful cakey finish and I am so glad this does not happen with the Dermablend. I love that this foundation is buildable so you can start with a light hand and then build it up as you wish. 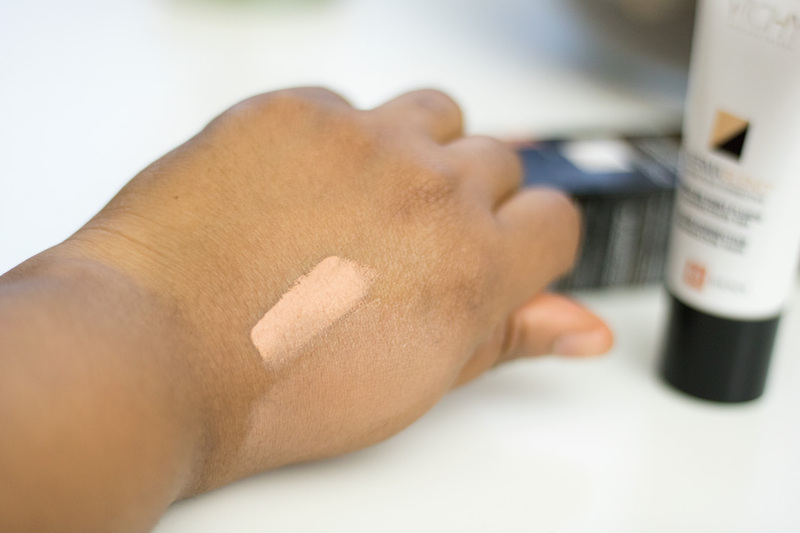 It blends out really easily without dragging across my skin because it has a demi matte finish. This is my favourite finish and I rarely need to powder because it sets really nicely on its own. I have to say it has a pretty decent wear time and I don't need to do too much of touch ups through the day. Vichy claim that it has a 16 hour wear time and I feel this may be true but the longest I have ever worn it would be 10 hours and it still looked amazing. If you have combination or oily skin, you would absolutely adore this foundation. If you have dry skin, I believe you would equally love it as far as you moisturise properly. There are only 11 shades at the moment which is a slight improvement to the number of shades they previously had. 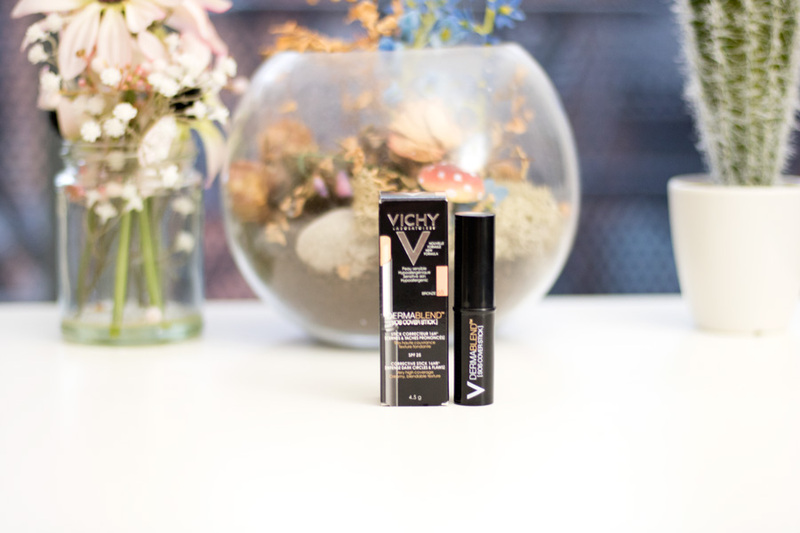 I believe Vichy is still working on expanding their shade range which would be amazing and I may perhaps find my perfect shade. I did see that there was a new shade 60 Amber which I am going to be picking up soon. Initially, I thought it would be too dark for me from the Press release but since Bronze 55 is slightly too light for me (and not warm enough as well), I think shade 60 Amber may be better. Despite shade 55 Bronze being slightly light for me in the foundation, it is the perfect shade for me in the Cover Matte Powder and SOS Cover Stick. I had never heard of this product prior to receiving it but I was curious about it because I am totally loving concealer these days. 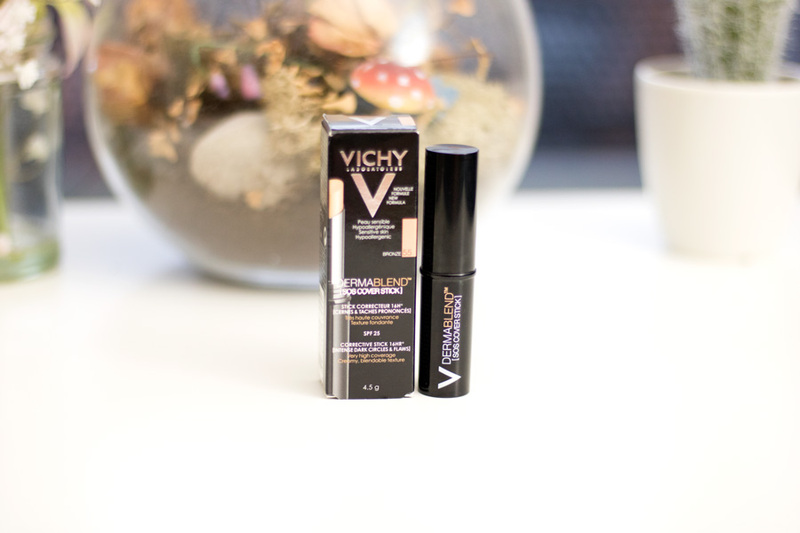 Vichy describes it as an exceptionally high coverage and long lasting concealer with up to 16 hour wear. It looks quite small but I love it because it is very travel friendly and makeup bag friendly. 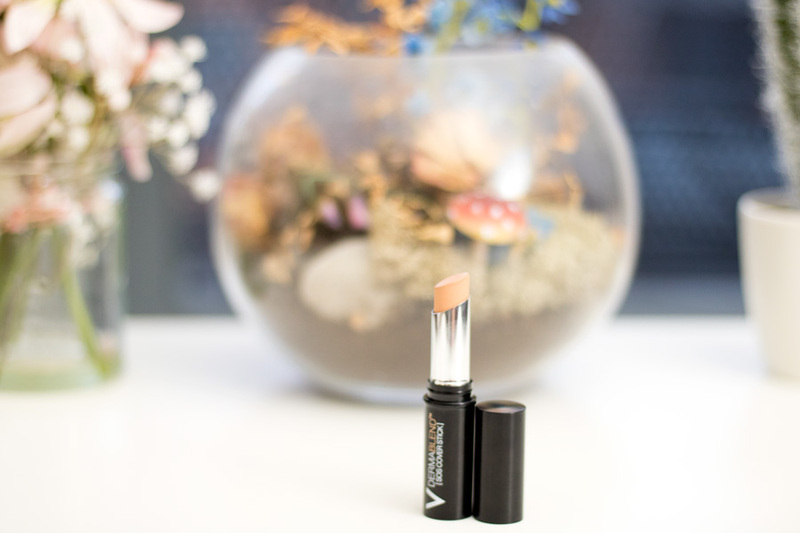 It is the size of a regular lipstick and it is one of my favourite products from the Dermablend range. It is the perfect size for concealing my under eye. The shade I have is Bronze 55 which is surprisingly a great shade for concealing my under eye. 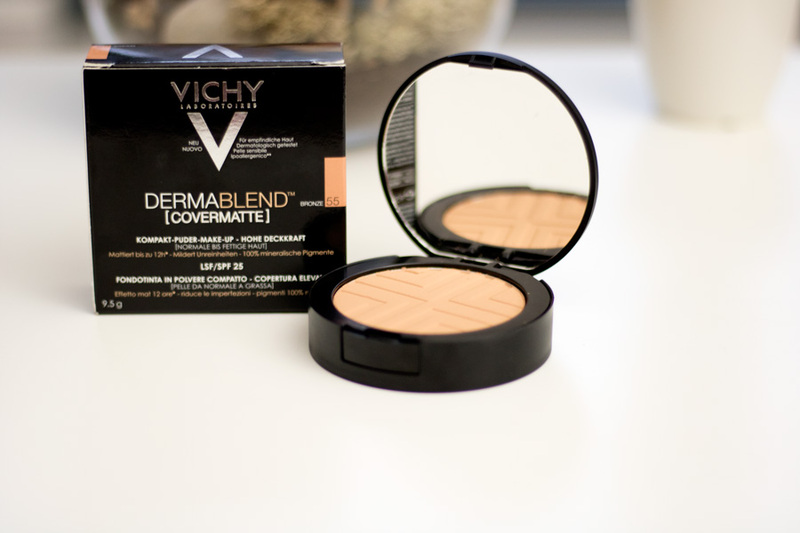 It is perfect for hiding any dark circles and highlighting the under eye area. I knew it was a cream stick concealer so I was concerned about it shifting which is my experience with many cream stick concealers. However, I was pleasantly surprised that it did not happen at all. 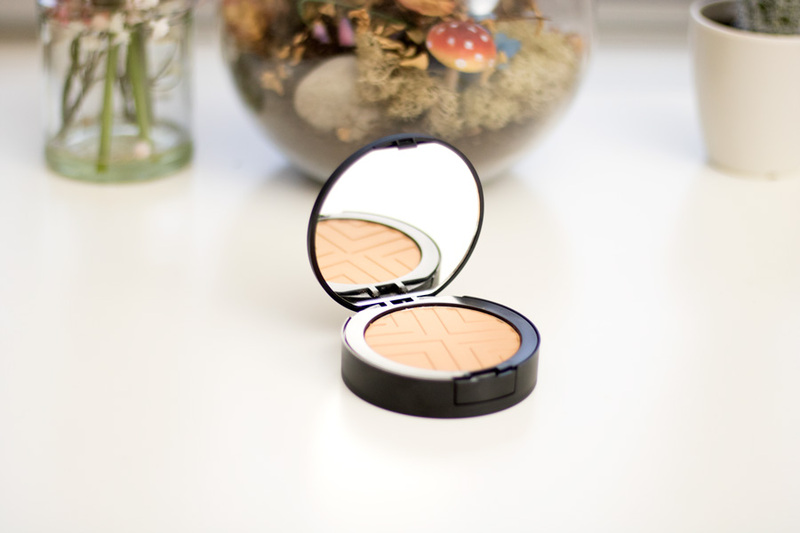 First off, it has the loveliest creamy texture which glides on like a dream around my under eye areas. It's the perfect size to reach all crevices of my under eye. I absolutely love it and it does not feel heavy at all on application and when it sets. Blending it out is actually one of my favourite things to do because it just sinks right in with a few wipes. It blends out easily with a variety of tools including my Real Techniques Setting Brush and Beauty Blenders. I have noticed very, very minimal creasing and I only noticed because I am always looking out for it. If you have a drier under eye area or maybe fine lines, you will notice some slightly creasing where the product sinks in. However, if you apply it lightly (better with a brush rather than straight from the bullet), you will get less creasing. 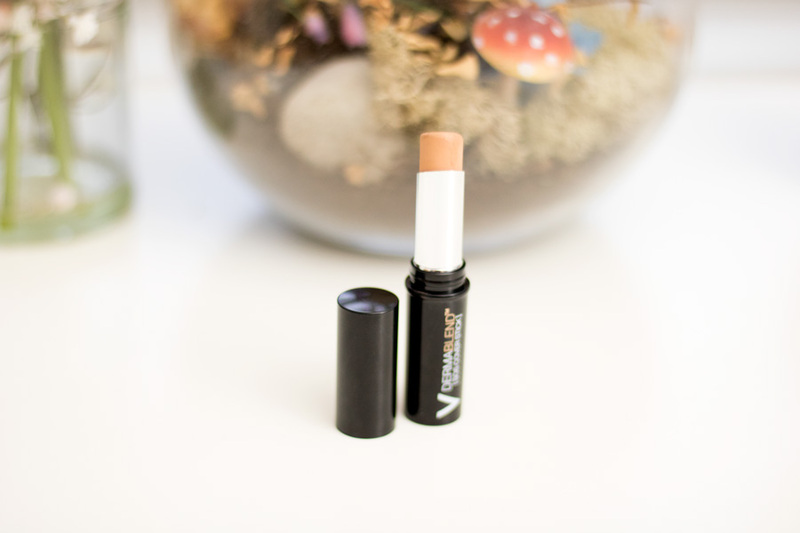 It is currently one of my top concealers and I can't get enough of it. I have not tried it on my blemishes because the foundation usually covers it all but I can already tell that it will be perfect. If you only had £15 to spend on the range, I will highly recommend giving this a try. 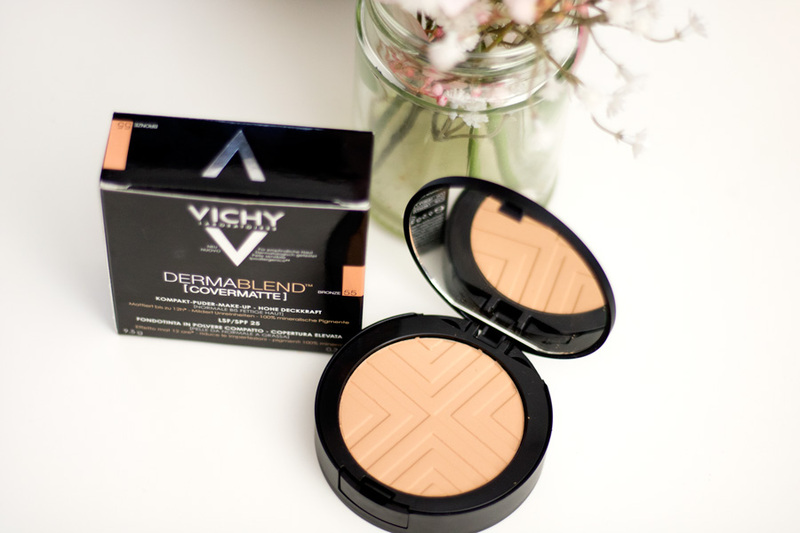 I was very excited to try out this powder because I loved the design of the product.Vichy describes it as a formidable high coverage and colour corrector in a compact foundation form. I am not one to use only a powder foundation because it takes a longer time to apply (thanks to the naughty hyper pigmentation on my cheeks). 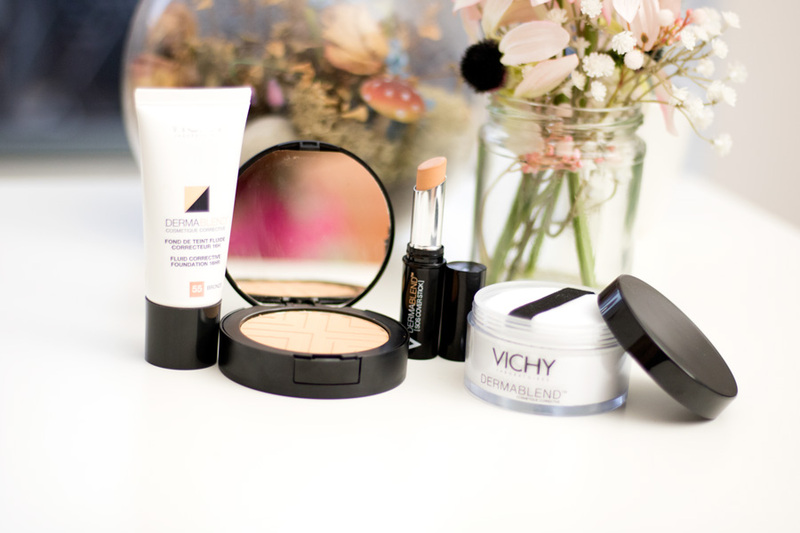 I prefer using a liquid or worst case cream foundation because it is quicker and easier to work with in my own opinion. However, I love to use powders to set my foundation and for touch ups. I love the packaging and it comes with a little puff inside for quick touch ups. Of course, I rarely use the puff as I prefer to use my mini powder brush which stays in my makeup bag. 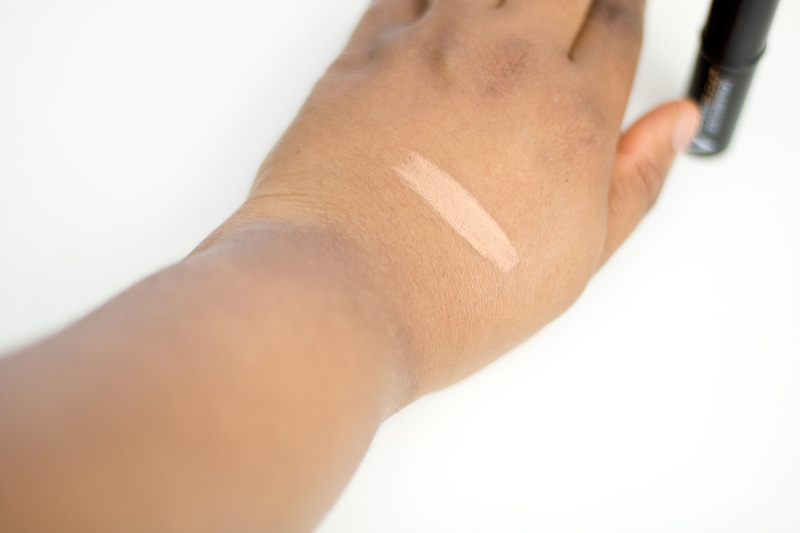 My shade is Bronze 55 which I opt for when I use other foundations that perfectly match my skin. I don't need to use it when I use the Dermablend Foundation because it has a perfect demi matte finish on its own. I have recently been using it with the Fenty Beauty Foundation and it is pure perfection. It keeps my face matte for such a long period and my T-zones rarely goes shiny. If you are not into wearing liquid foundations especially on an everyday basis but you still want some coverage, I will highly recommend giving this a try. Again, I have briefly reviewed this product in this post here and I still feel the same way about the product. It comes in a lovely tub as it is a loose powder. I do have to say it is one of my less messy loose powders and that's why it is one of my favourites. I love that it has a powder puff (which is quite handy) and an adhesive stopper to prevent excess powder from making a mess in the tub (especially when travelling). It can be used to set your foundation, as an all over powder or to set the under eye area. I tend to use it all over my face on days when I want to remain matte for a long time or when I am using a dewy foundation. It keeps my face matte without the cakey and flat look. I use it either under my foundation or over my foundation to ensure my face still looks put together even after a long time. For my under eyes, I pick up some product and tap off the excess before applying to prevent any powder settling under my eye. As an all over powder, I tend to go really lightly and usually tap around my T-zone areas. It is meant to be a universal shade and I have not noticed any flashbacks or ashiness with it. However, I am not sure what it would look like on very dark skin. From my experience, it has been great and long wearing. 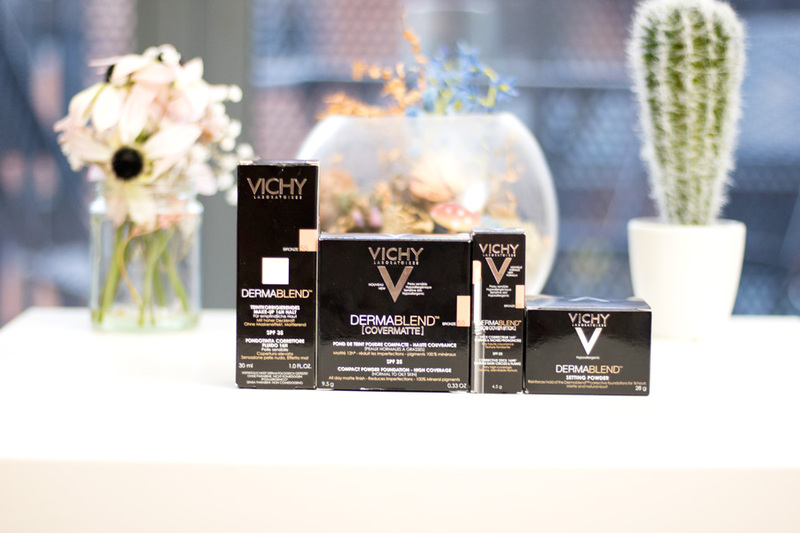 The Vichy Dermablend range can be purchased from the Vichy website and other retailers including Escentual, Boots, Feel Unique, Dermacentre, etc. 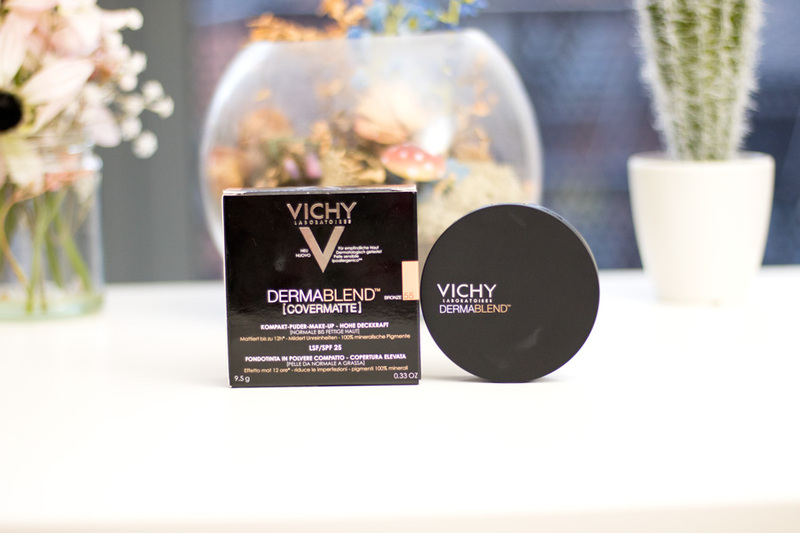 Escentual currently have (at the time of publishing) an up to 1/3rd offer off all French brands including Vichy. This is an amazing time to get stocked up on the Dermablend range. I am happy that the Dermablend range still lives up to my expectations and even surpassed it especially with the performance of the SOS Concealer/Cover Stick. 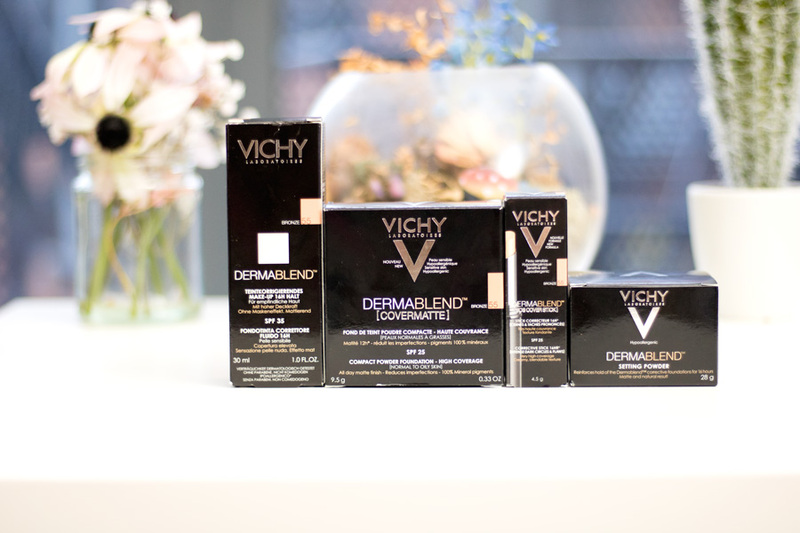 If you have any skin issues, I will highly recommend checking out Vichy Dermablend range. 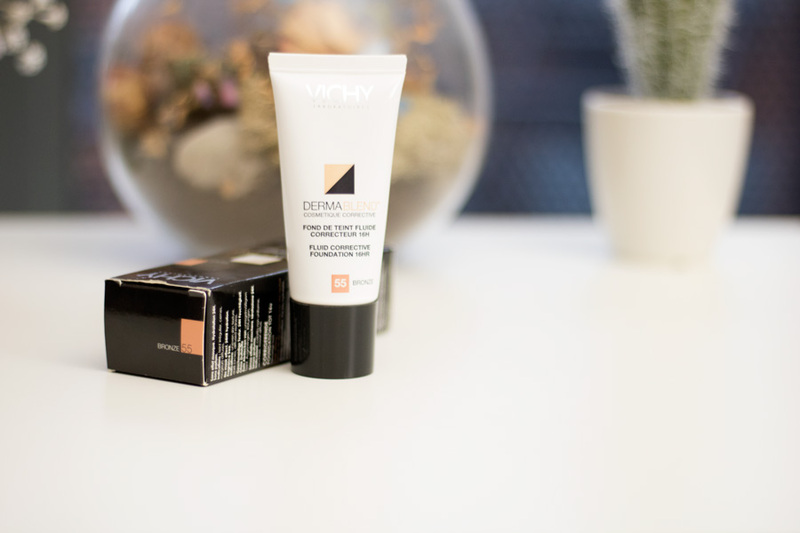 I am really hoping they expand their range soon as I know quite a few people who suffer from skin discolourations would love to try this range. I will be watching out for updates on new shade launches and I will keep you informed. 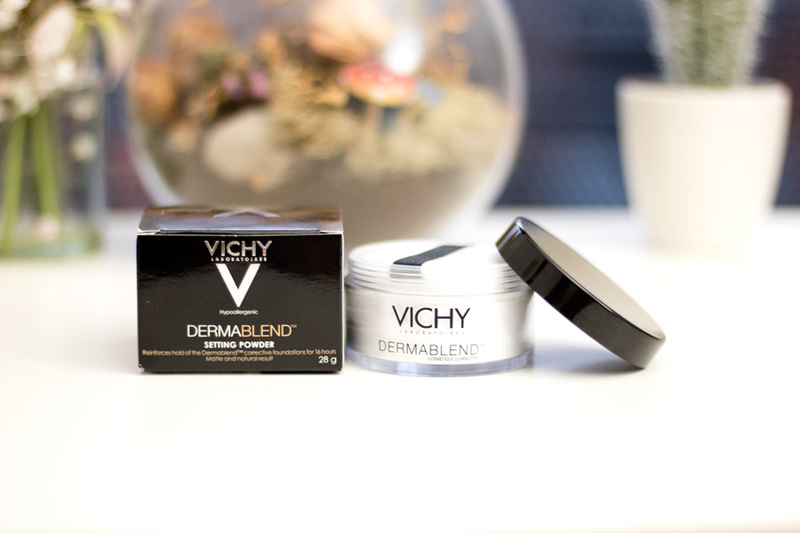 Have you tried the Dermablend range?